Philadelphia sports teams have had a tough season, but you can ease the pain a bit by sharing a chuckle about it with your friends today! I’ve created the e-card below, and for today only, Monday December 22, I’m making available for only $1.99. 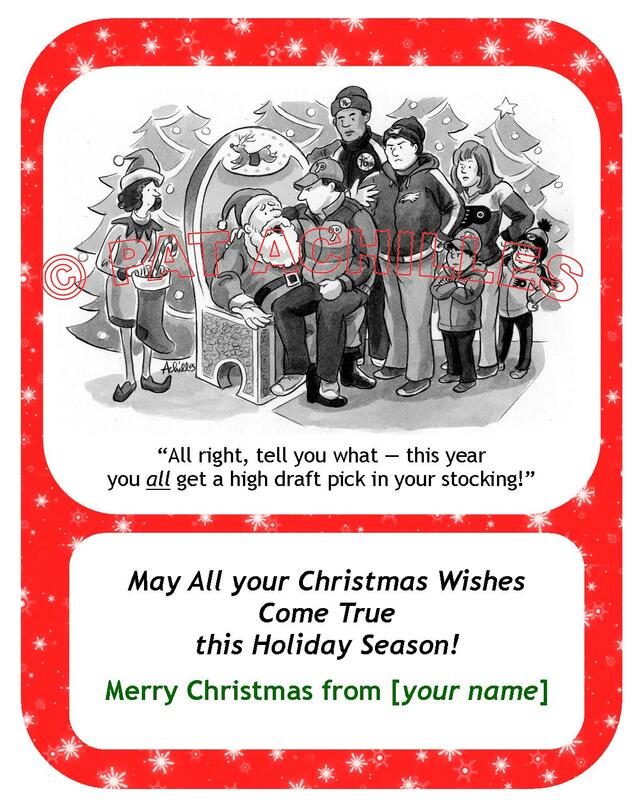 Just click here to go to my Christmas Card page and in 2 easy steps you can send this e-card to as many friends as you want to commiserate with, all for only $1.99. I’m not going to sound like an infomercial and say ‘Hurry! Order Now!” but I will just gently remind you that I’m only offering it today till 10 pm. I can change the general greeting below the cartoon read whatever you’d like to say to all your buddies-in-misery. And of course the watermark across the art will be removed on your final version. So if you want to order, or see additional info on how to order, just click here >> Christmas Card page. OK, it’s 10 pm – sale is over! thanks, everyone!